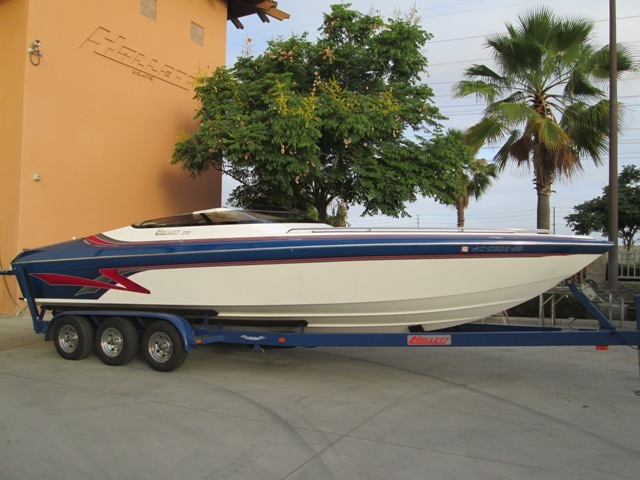 This Beautiful 270 Is Powered By the Mercury Racing 500 EFI With The Bravo One XZ Outdrive! 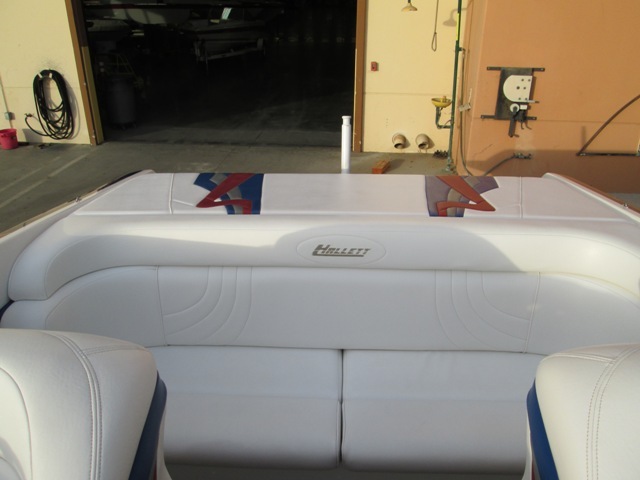 Pride Of Ownership Is Obvious With This Well Maintained Hallett! 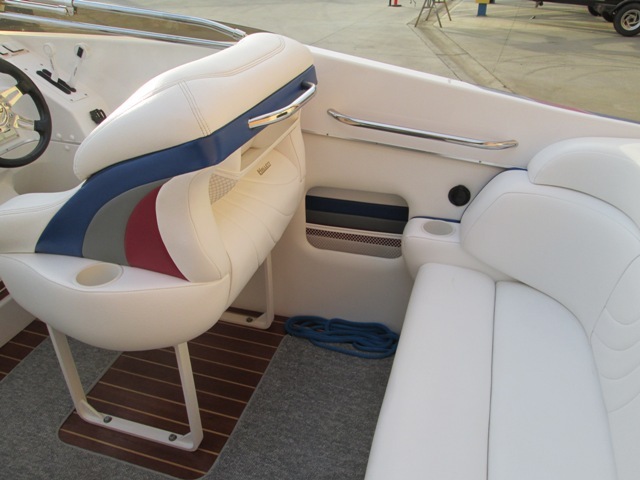 This Boat Has All The Regular Standard Features And Then Some! 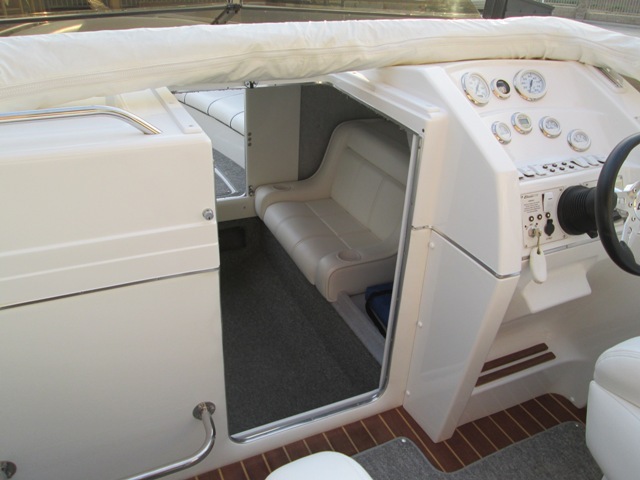 On The Transom You Will Find Heavy Duty Bennett Trim Tabs, Mega Mufflers, A Built-In Ski Pylon And A Full Width Flat Swim Step With Drop-Down Boarding Ladder! 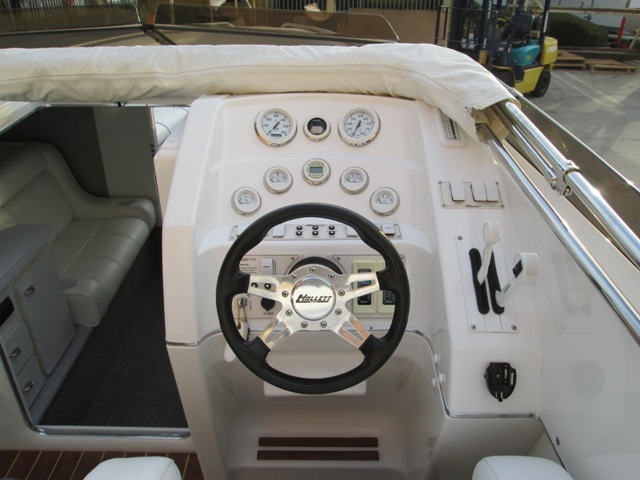 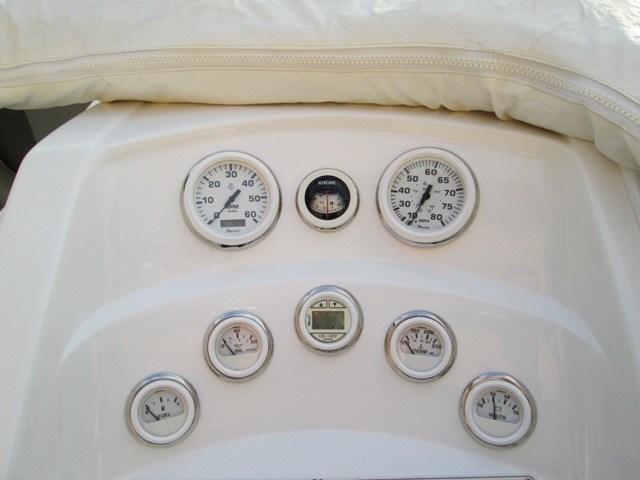 At The Dash: Bennett Trim Tab Displays, Depth Finder, In-Dash Compass And Cable Indicator For Drive Position! 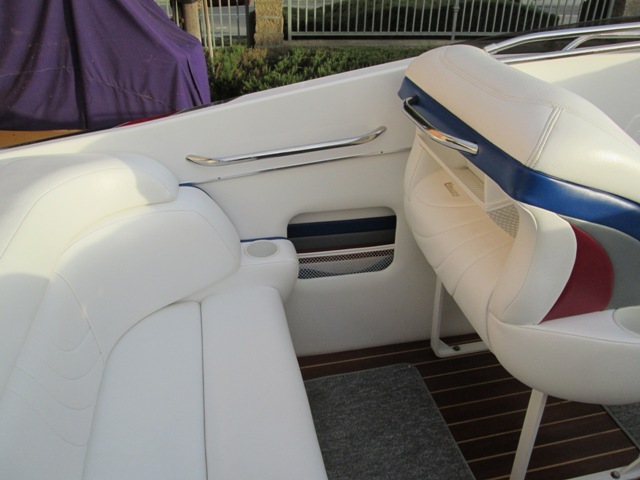 The Bow Seating Comes With Filler Cushions To Make A Full Lounge/Bed! 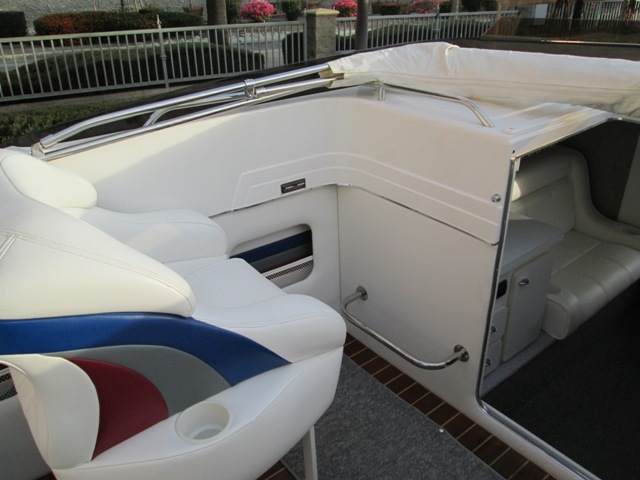 A Nice 4 Speaker Stereo System With Dual batteries! 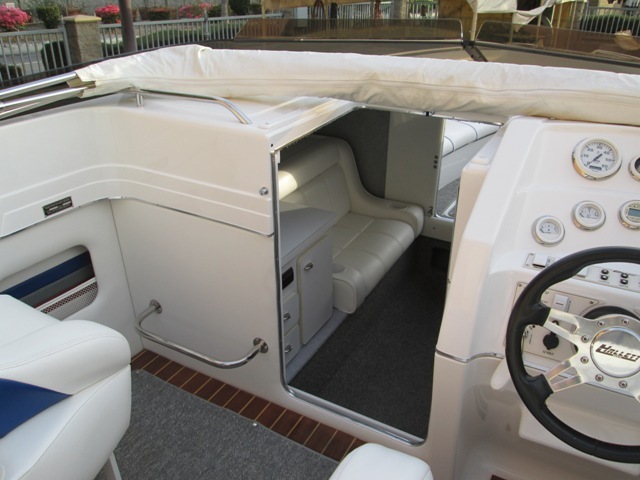 Also Included Is A Stainless Steel Bimini Top, A Full Soft Under Cover And A Full Acrylon Cover With Velcro Snaps! 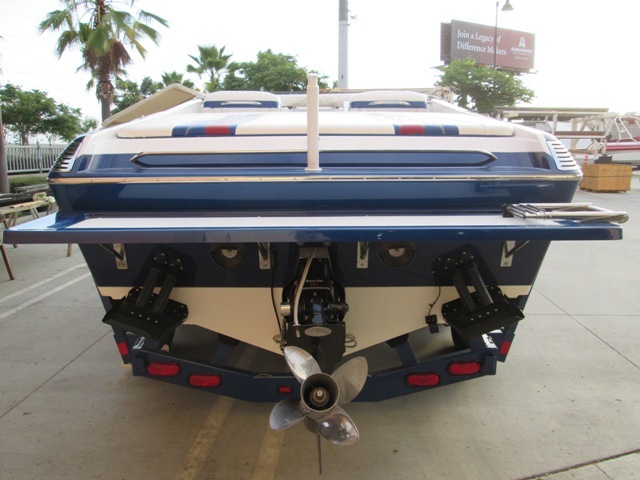 All This Sitting On An Extreme Tri-Axle Trailer! 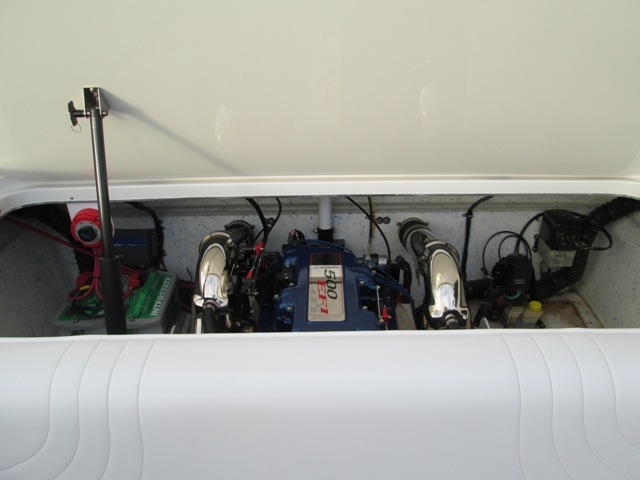 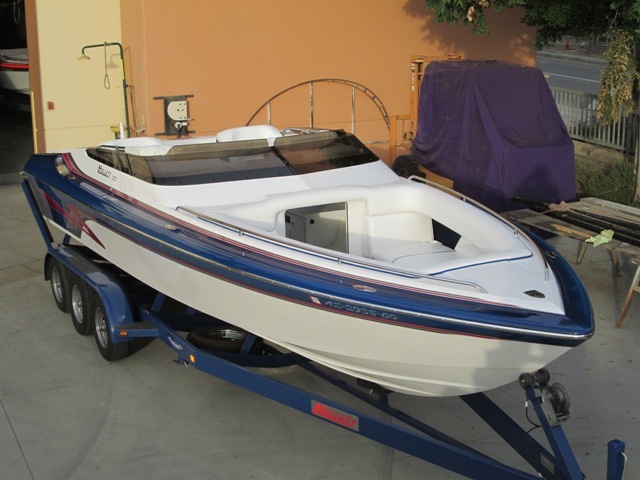 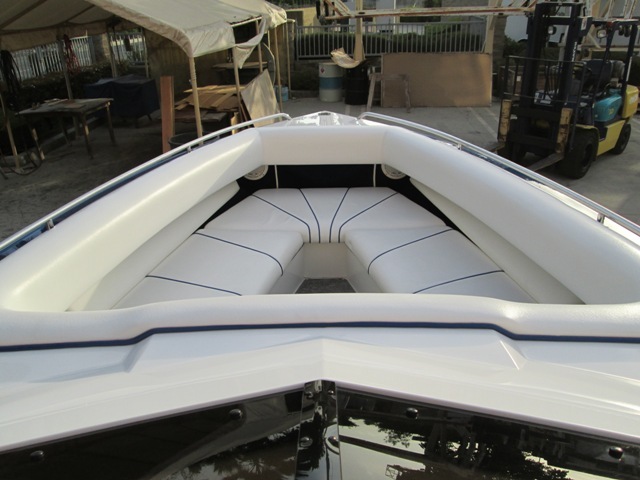 Boat/Engine Package Has Been Recently Serviced And Is Ready To Go!